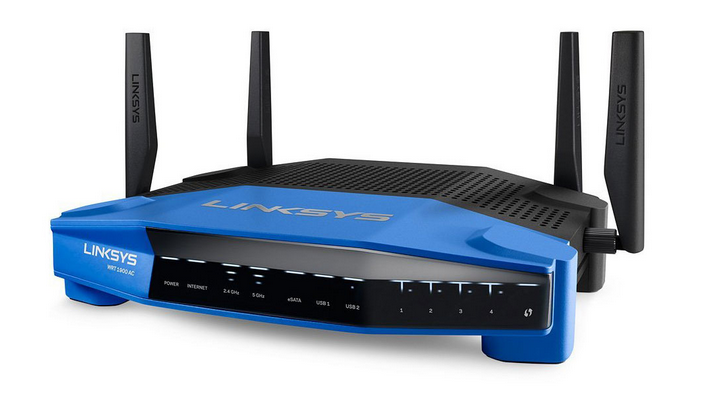 If you have used the famous Linksys WRT54G wireless router, you are going to love the WRT1900AC just because it is the WRT54G but with much more power and the exceptional new design. 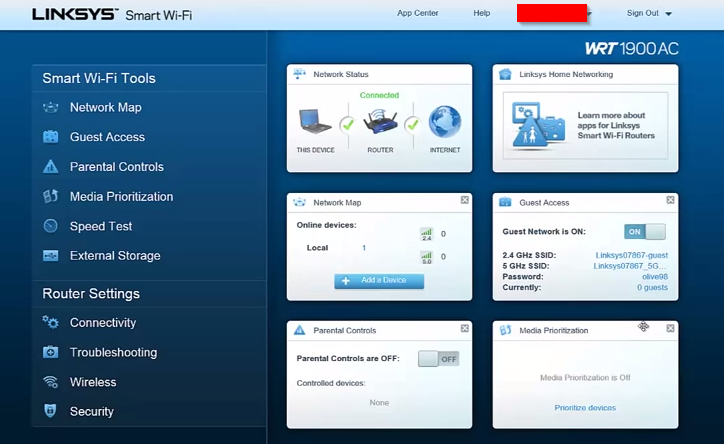 To start the configuration process you must first connect to the router using the open SSIDs (2.4GHz and 5GHz) or lan connect it to your PC to start the installation. You should get a window as such, please next to proceed. Everything else from there is self explainatory, you must first personalize your Wifi network settings. 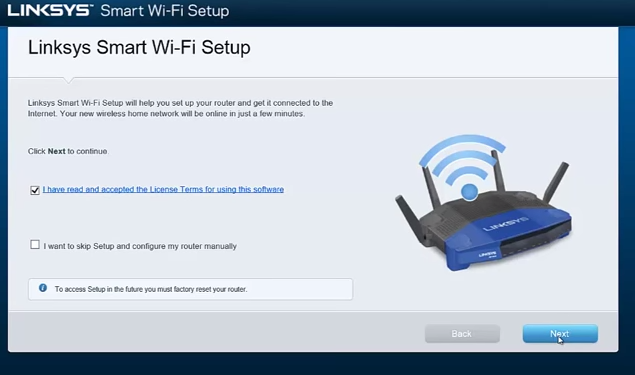 Once you are done setting up the networking information you will need to setup the router management password and click next. 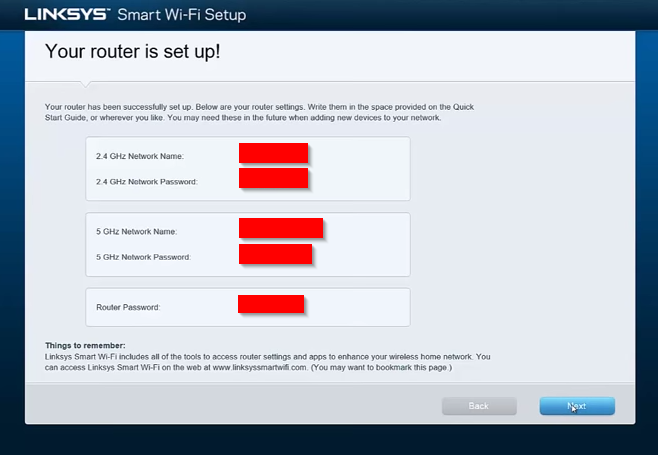 Your next option would be great the Linksys Smart Wifi account, it allows customers to access router settings from outside like your mobile. Finally, you should be at the Dashboard showing all your require information and settings. 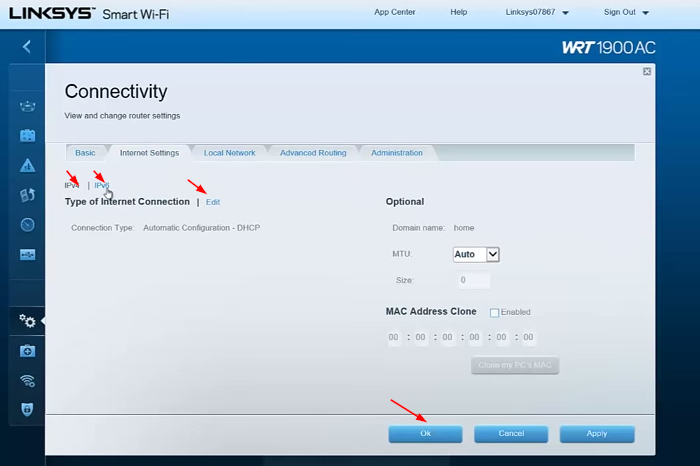 Click on Connectivity and configure the WAN setting as per your ISP requirements. 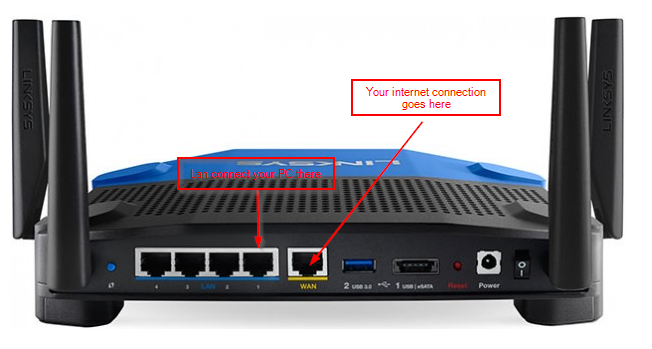 Setup IPv4/IPv6 information, Edit the Type of Internet Connect to your requirements and than click Ok and you should be able to use your routher.